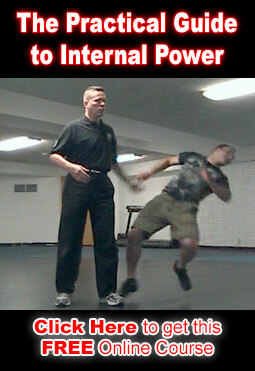 My street real self defense arts look at the primary weaknesses on a human body and make a study of the most expedient way to exploit them so that a 98 pound girl or middle aged business executive can have a hope of defending her or himself against an angry 250 pound muscle bound guy. This means his eyes, throat, testicles, arteries, knees and life are all good attack options and major points of time and study. She does not want to wrestle, trade hits or be in the situation any longer than absolutely necessary because she cannot afford to exchange blows with such a person without her risking her life. By the way, the same can be said for the average person whether they be older, weaker (not lifting weights for a couple of hours every day), sicker such as being a diabetic or having parkinsons or just being the average person living a normal life. The vast majority of MMA stylists who participate and train for competitions can not honestly say they train for the street because when was the last time you saw a fight in an octagon or ring match that was a real, true to life, ugly, no rules, street manner fight without the participants immediately getting disqualified? How many times has an octagon or ring match opponent showed up to fight with a knife or baseball bat or had his friends inside the ring to help him. In fact if the MMA fighter showed up and did half of the things that a real street self defense art considers and trains for and against then they would get barred and eventually completely banned from competition. After this explanation the typical response that I have received from most of the 15 MMA types who have challenged me amounts to them telling me that my idea of martial arts is messed up and not moral or ethical. The problem is that they came to me thinking that their view of fighting is the reality of real self defense. If MMA was the reality of street fights then life would be simple and there would be no need for real self defense arts. I could simply say “You Win and I concede the fight” and the conflict would be over. My street real self defense arts vs MMA looks at the primary weaknesses on a human body and makes a study of the most expedient way to exploit them so that a 98 pound girl or middle aged business executive can have a hope of defending her or himself against an angry 250 pound muscle bound guy. This means his eyes, throat, testicles, arteries, knees and life are all good attack options and major points of time and study. She does not want to wrestle, trade hits or be in the situation any longer than absolutely necessary because she cannot afford to exchange blows with such a person without her risking her life. By the way, the same can be said for the average person whether they be older, weaker (not lifting weights for a couple of hours every day), sicker such as being a diabetic or having parkinsons or just being the average person living a normal life.